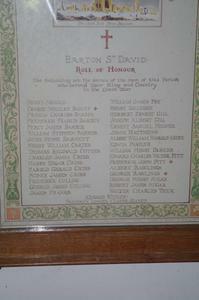 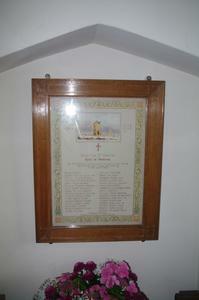 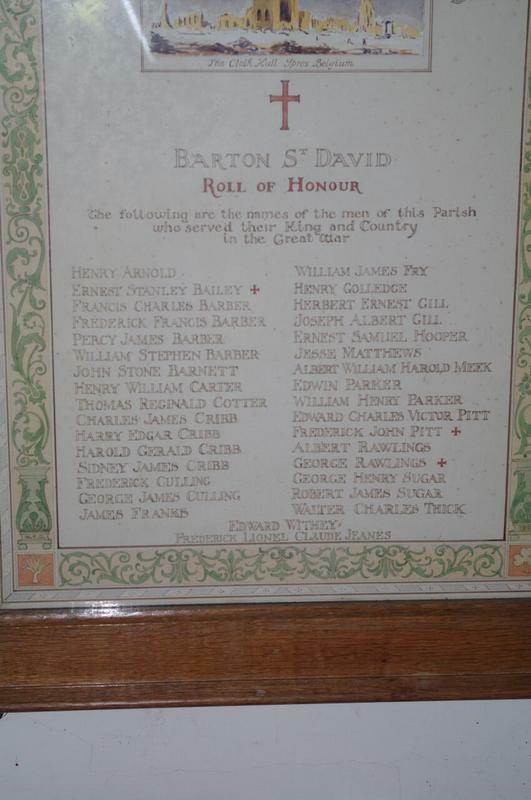 Framed and glazed hand written Roll of Honour with names of the dead marked by a cross after their name. 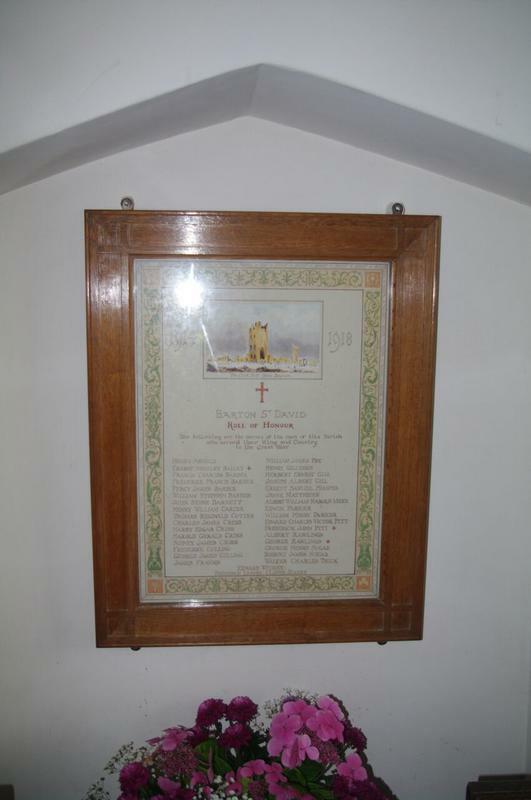 Watercolour illustration of the Cloth Hall, Ypres top centre between dates of war. 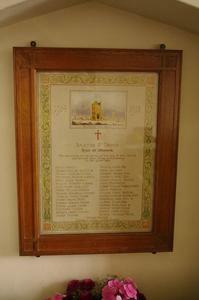 Decorative floral border in green with national emblems of rose (upper left); thistle (upper right); leek (lower left); and shamrock (lower right). Signed with initials and date at foot.